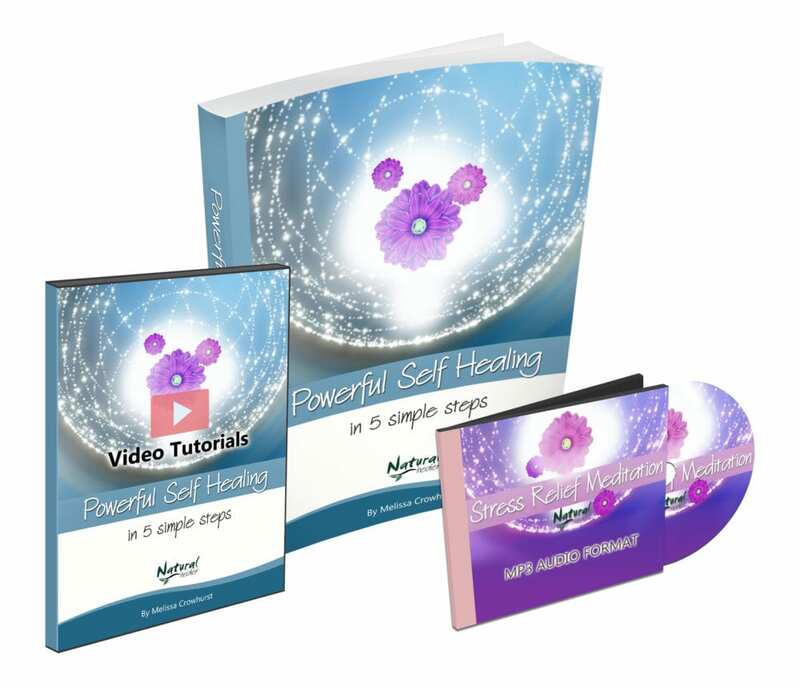 Melissa’s Powerful Self Healing in 5 Simple Steps course will help you rebuild your self worth and gain more peace in your life! What’s more, this short and fun course is completely free! Rediscover your inner beauty, self worth and blossom into who you truly are! Course includes Melissa’s ebook (PDF), 7 videos, 13 written articles, 5 quizzes, and completion certificate once done! This simple course creates fast! Includes Melissa’s easy-to-read 38-page Powerful Self Healing in 5 Simple Steps! ebook(PDF) so you can reference your learning offline! A beautiful certificate of completion (PDF) that you can save or print out to remind you of how far you’ve come (and improved!) in your journey! I wrote my short ebook, Powerful Self Healing in 5 Simple Steps in order to help remind others that achieving a happy and healthy life isn’t as hard as we’ve come to believe. To make it even easier, I created this video-based version of the ebook to further emphasize the message and to lend a helping hand to those who are willing to take that first step – but aren’t quite sure which one to take! Great work Melissa, again Thank you for sharing your life lessons to everybody that has taken the course, it was easy to understand and follow. We to forget to stop smell the flowers. Full Course Inclusions: Over $25 in value for only FREE! A 38-page Powerful Self Healing in 5 Simple Steps! ebook (PDF), which includes explanations, suggestions and more! Lifetime access to the Student Platform which has links to files and 7 video tutorials (over 30 minutes of video) with closed captioning available, to further enhance your learning. Direct and ongoing email support from Melissa and her Natural Healer team! Self-pacing: take as long as you need, but most students will easily finish within a single sitting - so have fun and enjoy the journey! A beautiful Certificate of Completion (PDF) once you've finished! Receive email support or responses via the Student Platform for any questions or clarification you need along the way. Once you’ve completed all the course lectures, you’ll get your certificate of completion! Once you have your certificate of completion (PDF) you can print it for display! Note: this course completion certificate is a confirmation that you finished this course only, and does not certify you to practice any healing modality on others. This course is not eligible for CPE points. If you’re ready to get off that hamster wheel and start living your life, just click the add to cart button below! Your course material will be attached to your confirmation email, you just need to click the links to access everything! And of course, if you have any questions be sure to check out our FAQ here; or to reach out and contact us here anytime! Thank you Melissa, for sharing your beautiful course in self healing. A reminder to us all, to stop and smell the roses. The class was quite good, simple I enjoyed it. I’m thinking about taking another class soon but have to wait til pay day! You have to stop and think k about yourself and take time out for you! Thank you for a reminder of what should be obvious to all of us but which we forget as we get into unhealthy habits. Professionally delivery and easy to follow. The self healing course is great for anyone on a path of spirituality and self improvement. It’s just what I was looking for. I’ll be sure to tell people about this and other of your courses you provide. I’m glad I was guided to your spirituality teachings. Thank you so much i loved this course, simple and effective. I enjoyed the combination of printouts videos and tasks. Hi, Melissa: Thank you so much for sharing your knowledge with us….such a pleasure meeting you! 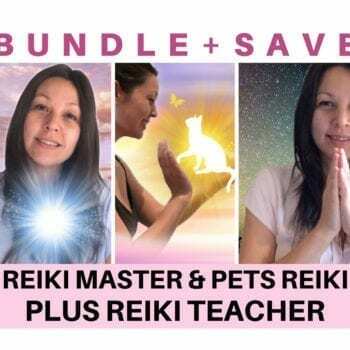 (even if through pre-recorded videos) I also took the Master Reiki Course and I am 100% sure I will use it to better my life and the life’s of those I love. 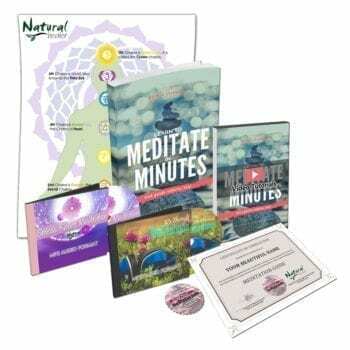 Looking forward to enhancing my Meditation skills with your Meditation in Minutes course which I just enrolled in 🙂 Thank you and Buena Vibra! Hello Melissa, I am a very spiritual person but I fell behind all beliefs after the sudden death of my 24 year old son in 2012. I have been just recently been searching for spiritual healing and guidance as my health, both physically and mentally, has been compromised over these past years with neglect and I have tried many times to heal but I have always fallen once I reach that peak high. After meeting you, and listening to this course, I have been enlightened to further my healing abilities with your help and guidance to allow my spiritual house to care for my spirit. I know in my heart that I will never be the same person I once was before I lost my son, but at least I have someone who provides the most beautiful positive energy; you touched my heart and I have not been able to do that. I thank you Melissa from the bottom of my heart for your inspiration and most rewarding energy. Namaste my new friend. Love and Light to you. Thank you Melissa for this wonderful course. You have such a beautiful energy and you really inspire me! Thank you Melissa for this lovely reminder course. I am also a natural therapist with both humans and horses. And yes we get lost on the hamster wheel as you put it. I needed the reminder, it was just lovely. Your gorgeous energy just fills the soul. Thank you for such generosity. I look forward to getting to do other courses you have available here. Wonderful that you have this so freely available and affordable for people to take advantage of. Not enough is given so freely anymore. The universe thanks you. Namaste ?? This short course will help others learn or relearn the steps we need for a healthy life. It is easy to follow and meaningful to all that enroll. It is an easy read to follow step by step to a healthier life. Great class. Will impact my life and I will pass it on! A quick and easy course.. but meaningful and worthwhile. Some lovely reminders that we are spiritual beings in a physical vessel – enjoy the journey! This is a great platform to add to your daily positive affirmatives! Short but insightful, self healing is important in our daily lives! Thank you for this beautiful 5 step healing! Much love blessings and light! This course was fantastic. I know it played a big part in my healing and I am grateful. Thank you and God bless. This was awesome, simple and easy to do. just what i needed. Thank you so Melissa. This is an easy course to follow and life changing THANK YOU 🙂 I thoroughly recommend this course to anyone working on their spiritual path! Nemaste Melissa, as with your Reiki course this does not disappoint. There is always something new to learn, discover or rediscover ways to take charge of your self. I look forward to more of your teachings. A very simple course, with a very powerful message; very well done! Very easy and simple steps to being happy, healthy and have an abundant life. Thank you Melissa I always enjoy doing your courses I feel uplifted and grateful for everything you offer much appreciated and Namaste ?? Thank you … I really enjoyed this course I can’t wait to keep learning from you thank you again much love and gratitude ???? I thought it was great to be reminded of all these steps…..little changes each day are possible, and will contribute so much on the path to healing oneself. Thank you!!!!! This is an easy course and so is making a few little changes to better one life. Thank you Melissa for the reminding me to remember. I can do this. I thought this course was very informative and easy to understand. It was also interesting. Inspired me to do further learning. This course was great! It’s so easy to ignore the simpler things in life, this course gave me a bit more focus on ‘me’ and looking after myself. I have completed your course on self healing and found it fantastic. good short course, pretty easy things that you just forget about, a very good reminder on things i used to do. thank you melissa!